You might think that you can only use a slow cooker for savoury meals like casseroles, stews, chilli, bolognese. No, you can cook cakes and desserts in there too! I’ve put all my tips for baking in a slow cooker together for you right here. 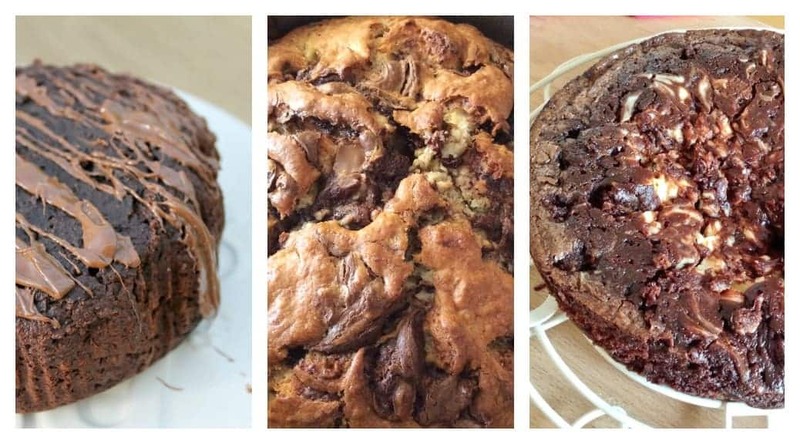 Through some dedicated experimenting carried out in my kitchen over the past few years, I have found you can bake all kinds of cakes – from red velvet cake to chocolate cakes, and many more in between – as well as brownies, giant cookies and indulgent desserts like self-saucing puddings and steamed puddings, and even scones in the slow cooker. 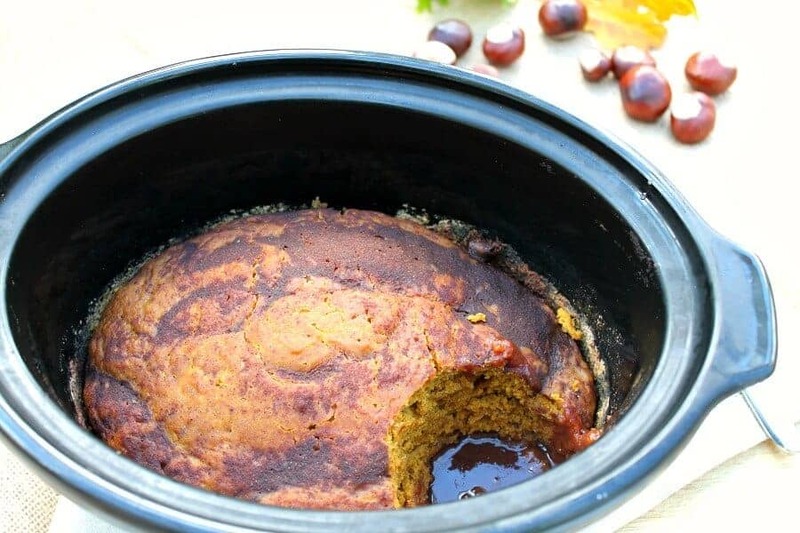 Try baking in a slow cooker today and find out how easy it is! 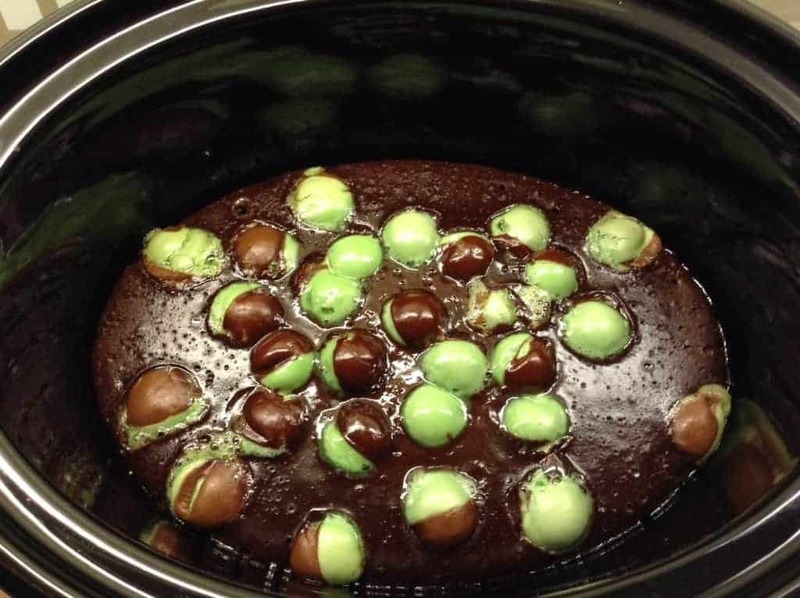 Why Bake in a Slow Cooker? What Can You Bake in a Slow Cooker? 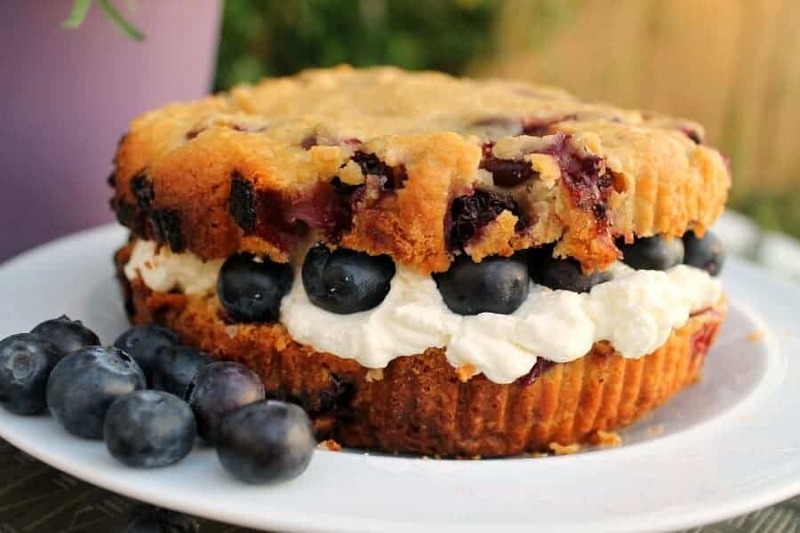 You can bake cakes, brownies, giant cookies or shortbreads, giant scones, oat bars like flapjacks, sponge cakes, upside down cakes, bread and butter (or french toast) puddings, self-saucing puddings which form their own layer of sauce under the sponge as they cook, steamed puddings, bread, crumbles, berry pies, the list goes on and on! Baking in a slow cooker is a favourite pastime of mine and my blog is full of recipes for all of these and more. Check out my Slow Cooker Archives to find them, along with a lot of slow cooker main dishes too. This is my Chocolate and Mint Aero Bubble Cake, which is proving rather popular. Slow cooker Zebra cake is also popular, as is my giant Nutella scone and Banana and Nutella cake. 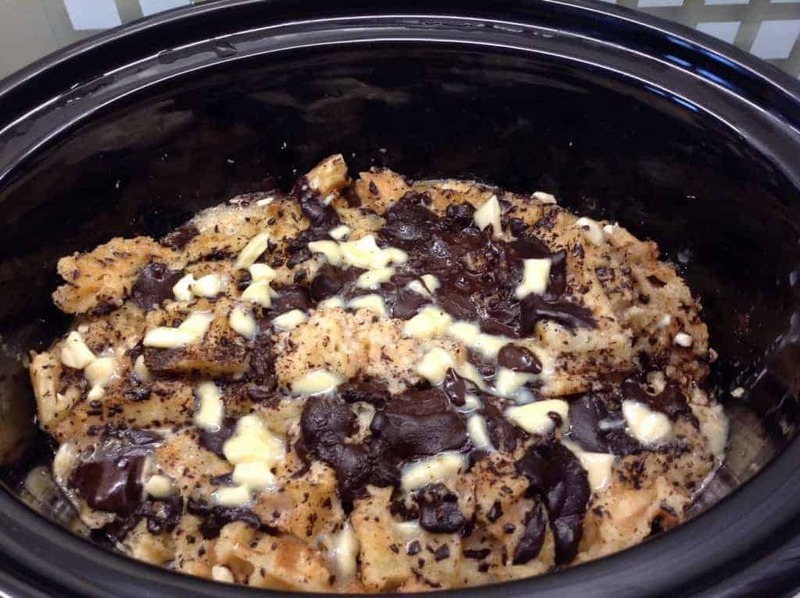 How Do You Bake in a Slow Cooker? The basic idea is that you use the heat from direct contact with the slow cooker pot to bake your cake or whatever you want to bake. Imagine your slow cooker pot is like your baking tin. As a very rough guide, bake your recipe by lining your slow cooker pot with baking paper/parchment, pouring in the mixture and cooking on high for about 1.5 hours, with a tea towel folded under the lid to catch drips. To avoid burning, line the slow cooker pot first or put your bake in a silicone pan. If you can fit one in you can also put a metal cake tin (round or loaf tin) in your slow cooker pot, and bake your cake in that. To stop moisture from the slow cooker lid dripping onto your bake put a tea/dish towel under the lid. A few sheets of kitchen roll folded over will also do the same job. Check your cake during cooking and look out for burning. Use a cake tester to check if the centre is cooked. To get a brown crust on the top of your bread, turn the loaf several times over during cooking. 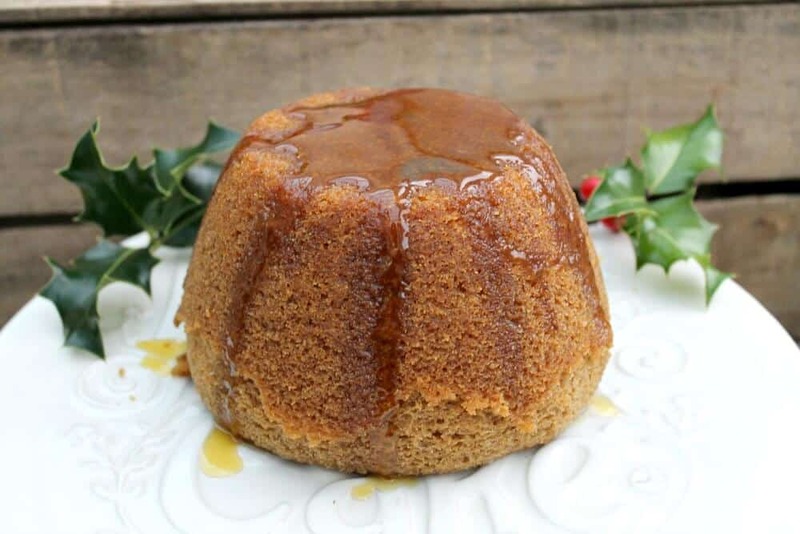 For steamed puddings, an oven-safe pudding dish is ideal. Cook most slow cooker desserts on high. When making bread, prove your dough in the slow cooker by switching it on low, then when it has proved and risen, switch to high to bake your loaf. 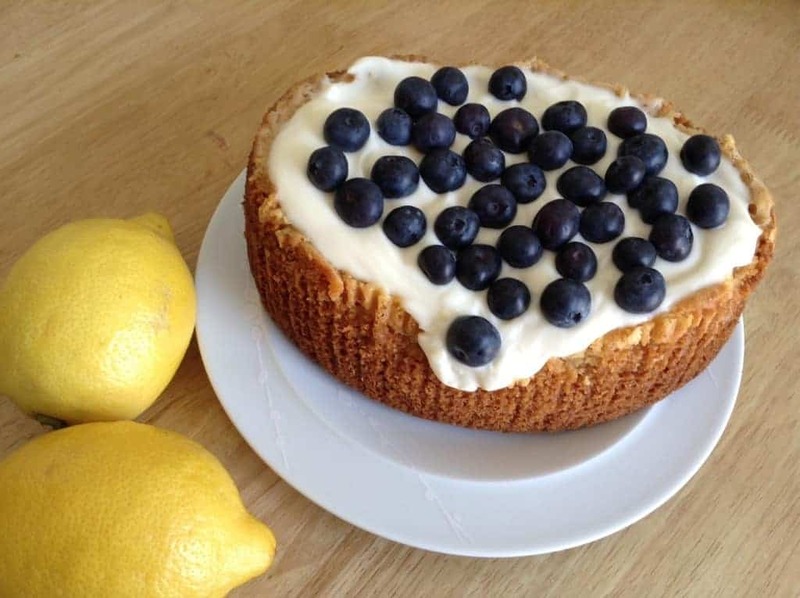 A round slow cooker will produce a round cake which you can slice in two and fill with frosting. But oval cakes are great too! One bake that is great for baking in a slow cooker is brownies – they are made for a gentle bake leaving the middle soft and fudgey and the outside crisp! 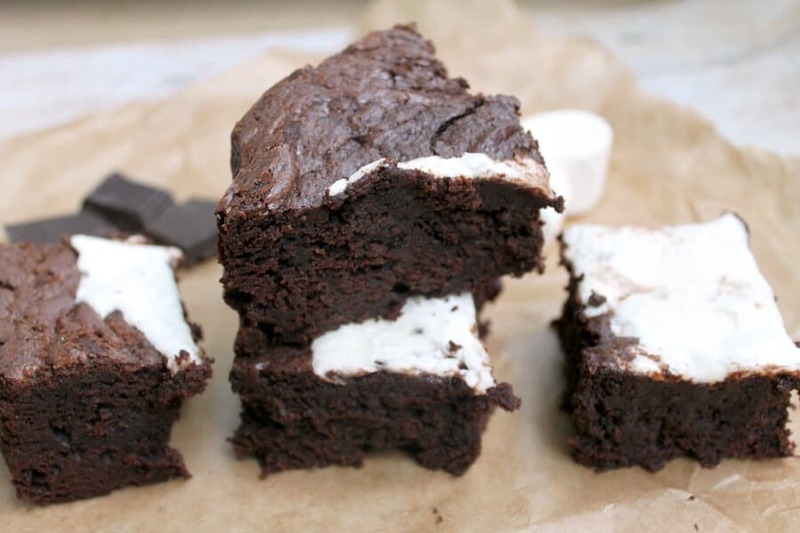 You are sure to enjoy my recipes for Peanut Swirl Brownies and Marshmallow Brownies. 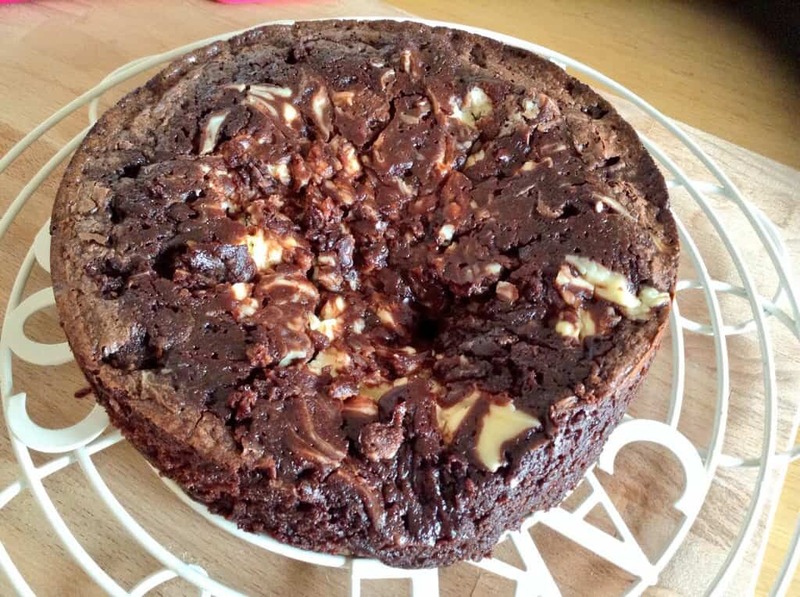 These Cream Cheese Brownies are so tasty too, use look at that gooey fudgey centre! 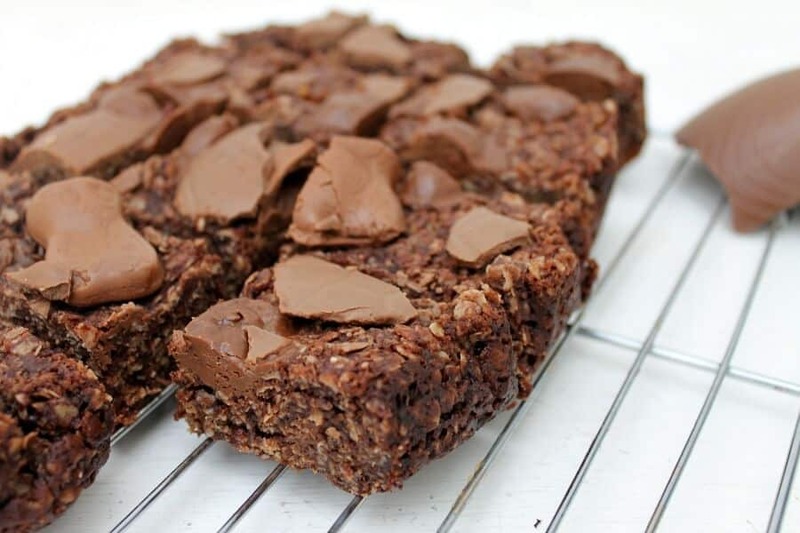 As well as chocolate based brownies, you can also bake blondies (brownies made without chocolate or sometimes with white chocolate) in your slow cooker. My favourite are these gorgeous Cherry and Chocolate Blondies while my children go wild for the White Chocolate Oreo Blondies. My main tips for baking cakes in a slow cooker are to use a tea towel under the lid, cook for approx 1.5 hours on high and to make sure you check your cake during cooking regularly and look out for burning. Use a cake tester or a skewer or a knife to check that the centre of your cake is cooked. In this way, if you do find that your cake has caught on one side (perhaps your slow cooker has a hot spot), then you can turn the slow cooker dish around in the outer casing. For a round slow cooker, just spin the dish around, or for an oval slow cooker, take the dish out and put it back in the other way around. It is also important to get to know your slow cooker. They all bake at their own speed. For example, my oval slow cooker cooks a lot more slowly than my round slow cooker, so I can leave cakes or brownies etc baking in there for a bit longer than I would in my round slow cooker. The slow cookers with a metal insert (sear and stew models for examples) will bake a cake much more quickly too. Once you know how your slow cooker bakes then you can use the same timings for your next slow cooker bake. It is a good idea to still check your cake regularly though. 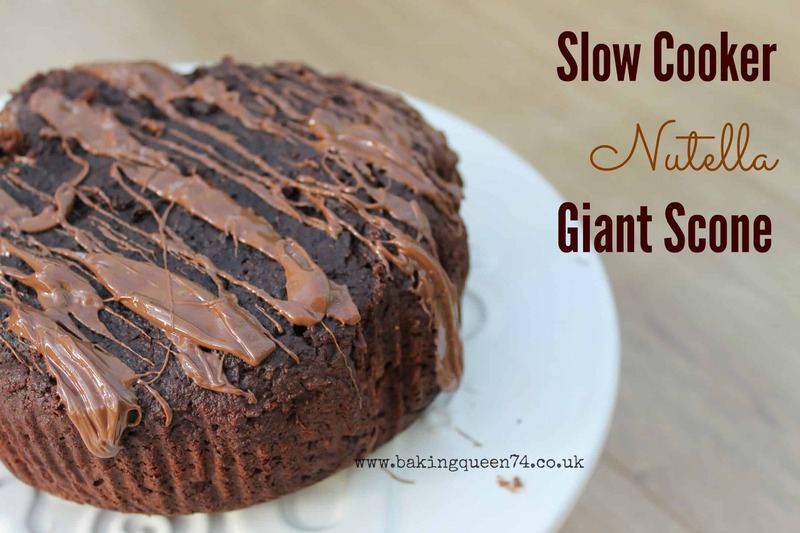 A 3.5 litre slow cooker is used for most of my cake recipes. You can see from the photos above and below that an oval slow cooker produces some tasty results. 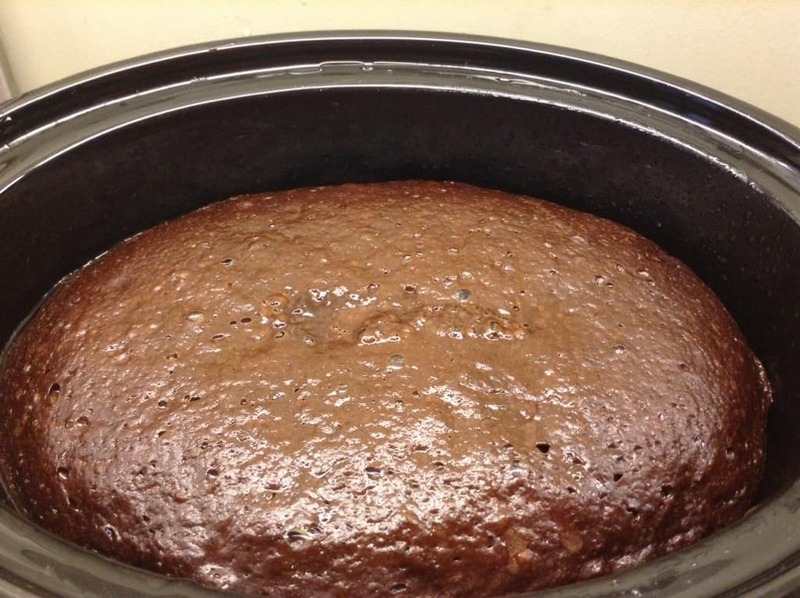 A round slow cooker will make a deeper cake so you can split it in half and fill with frosting or jam. 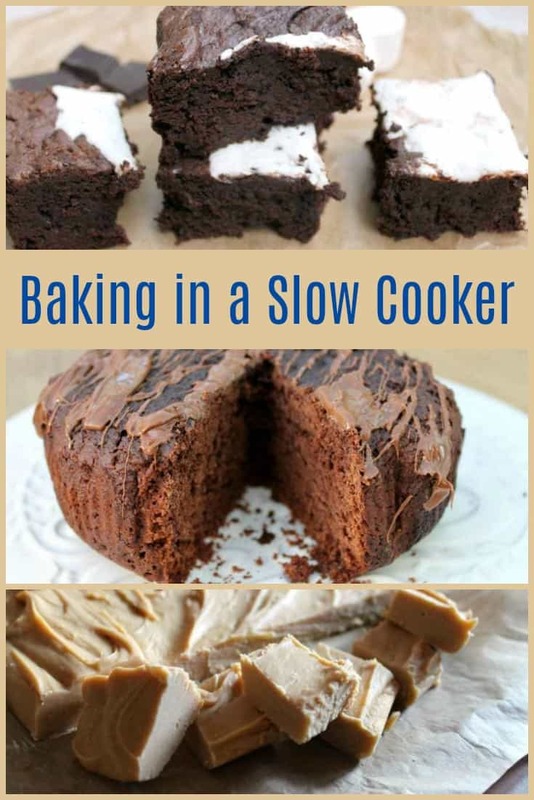 Read my post on exactly how to make a cake in your slow cooker and then check out the list below which is just some of the slow cooker cake recipes you’ll find here. While you couldn’t easily bake separate cookies in your slow cooker, you can bake a giant one to serve smothered in ice cream and chocolate sauce! 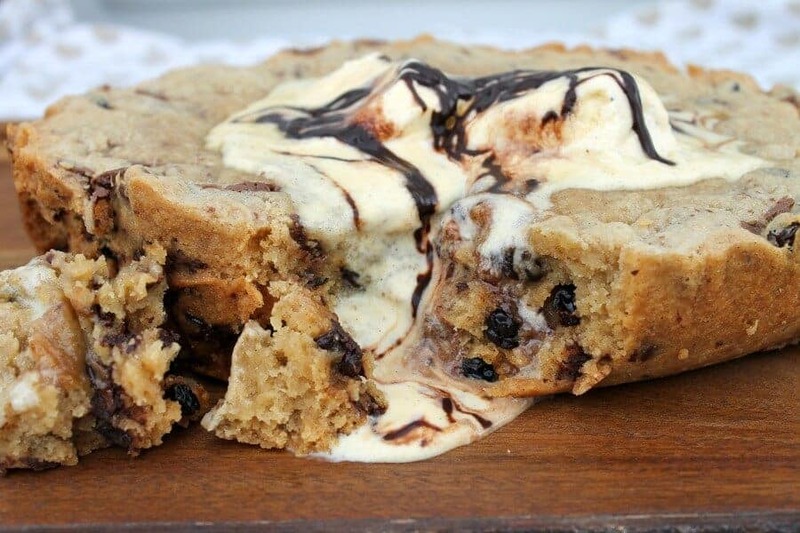 The ideal dessert for date night or to wow your family, the centre of the cookie stays soft like cookie dough and just makes you want to drool. This recipe of mine has been ripped off by various US websites but for the original and best version right here, in metric measurements so no need to try and juggle with cup measurements, you are in the right place!! In the slow cooker the giant cookies take about two to three hours to bake leaving you free to get on with other things and come back to an amazing dessert. Slow cooker giant cookies you can find on the blog include the original Slow Cooker Giant Chocolate Chip Cookie, as well as a delicious Chocolate Orange Stuffed Cookie, Strawberry and Chocolate Chunk, and White Chocolate and Blueberry. Individual scones won’t really work but who needs small scones when you can bake a giant scone in your slow cooker! 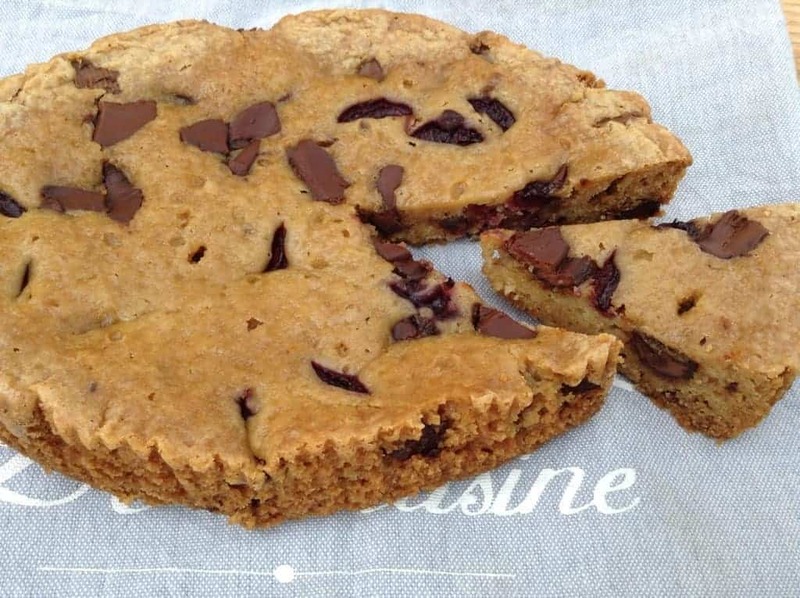 Whether a Giant Nutella Scone, Giant Chocolate Chip Scone, Giant Strawberry Scone or Giant Blueberry Cream Scone takes your fancy, I’ve got all the bases covered here. 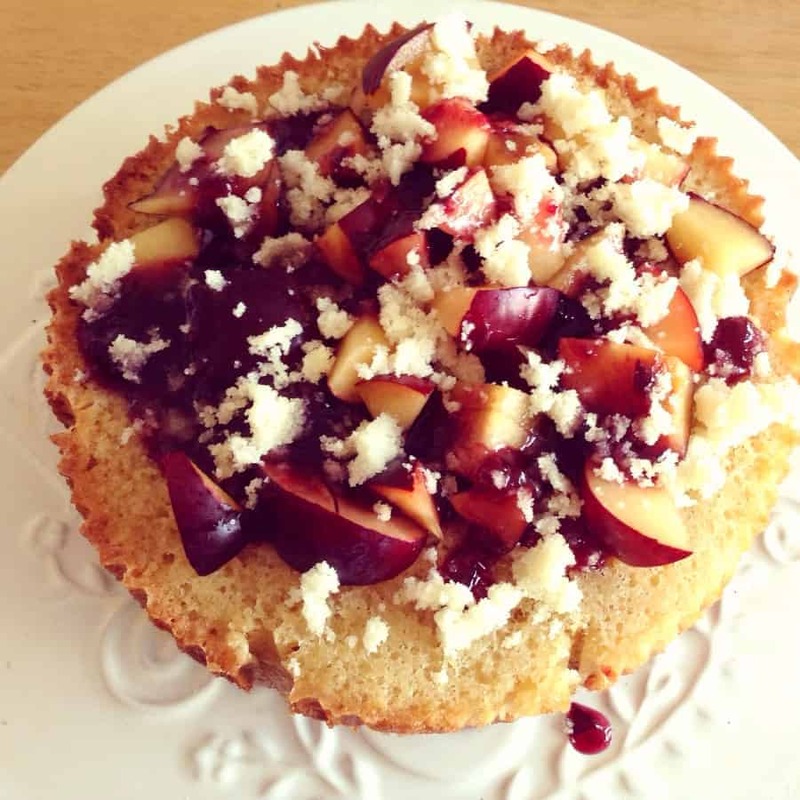 Who says baking in a slow cooker is boring when you can make something like this! Oat bars and flapjacks come out well in the slow cooker too. Look for chocolate, cinnamon and raisin and mango and pumpkin seed oat bars on the blog. 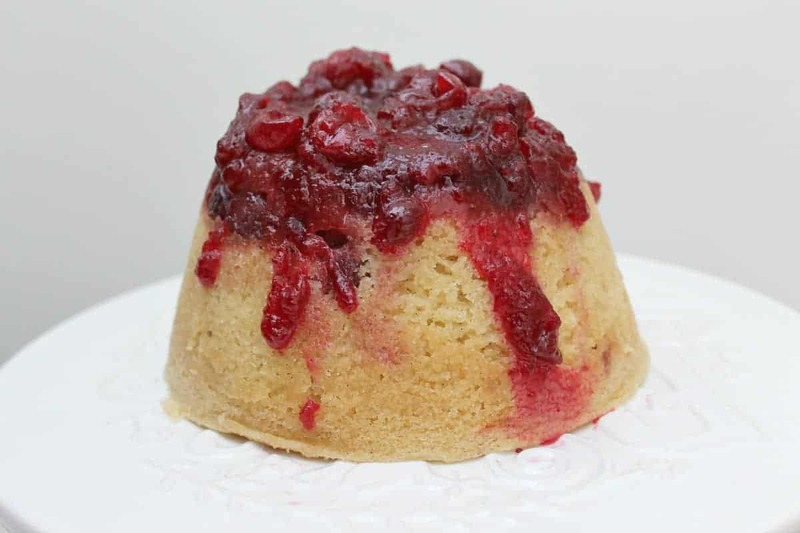 Self-saucing puddings are delicious sponge cakes with a mixture of boiling water plus sugar and flavouring poured over the top. The sauce magically ends up below the sponge and creates a delicious sauce after baking. They are ideal for baking in a slow cooker. You can go wild with flavour combinations, favourites of ours include pumpkin spice, chocolate, lemon and berry and coconut and lime. Bread and butter puddings, that traditional favourite pud, also known as French Toast in the USA, can also be made with brioche, waffles, hot cross buns, panettone and whatever else you can think of really. All of these can be sliced up and cooked with a simple custard in your crockpot. Steamed puddings are another family favourite, especially when it gets colder. A rich sponge pudding topped with custard, ice cream or cream will helpp you make it through those cold winter days. 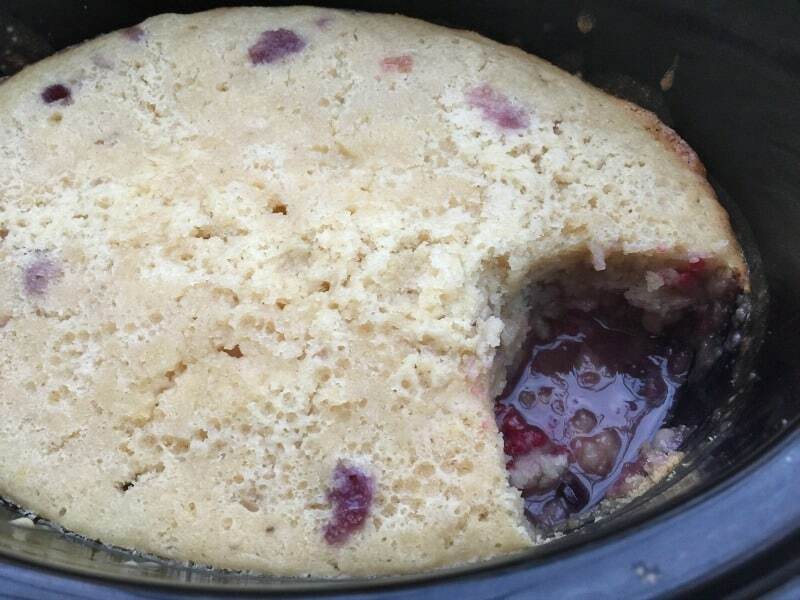 Using the slow cooker to make steamed puddings means you don’t need to watch your pan and make sure it doesn’t boil dry. My cranberry and vanilla steamed pudding is delicious and festive. So is my gingerbread pudding. 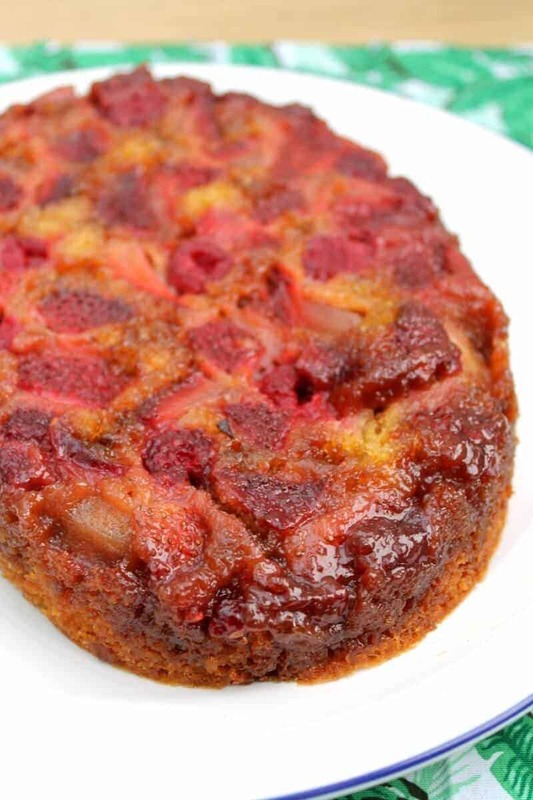 Why not try something new in your slow cooker and make a delicious sweet treat for your family to enjoy. What?! 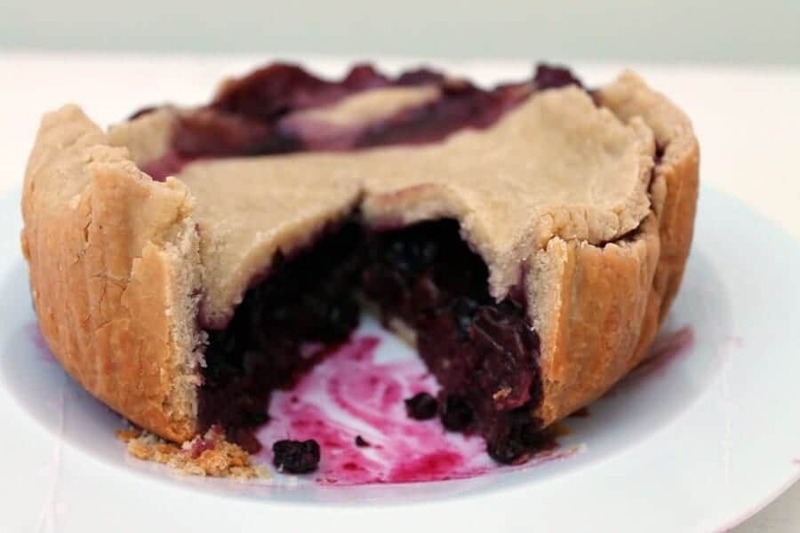 Yes you can even make a fruit-filled pie with a pastry crust in your slow cooker! The pastry even browns. Find out more about this sorcery in my slow cooker berry pie recipe. The slow cooker can also be used to prove and then bake bread. You can even get a brown crust! Either yeasted bread or soda bread type recipes work really well. 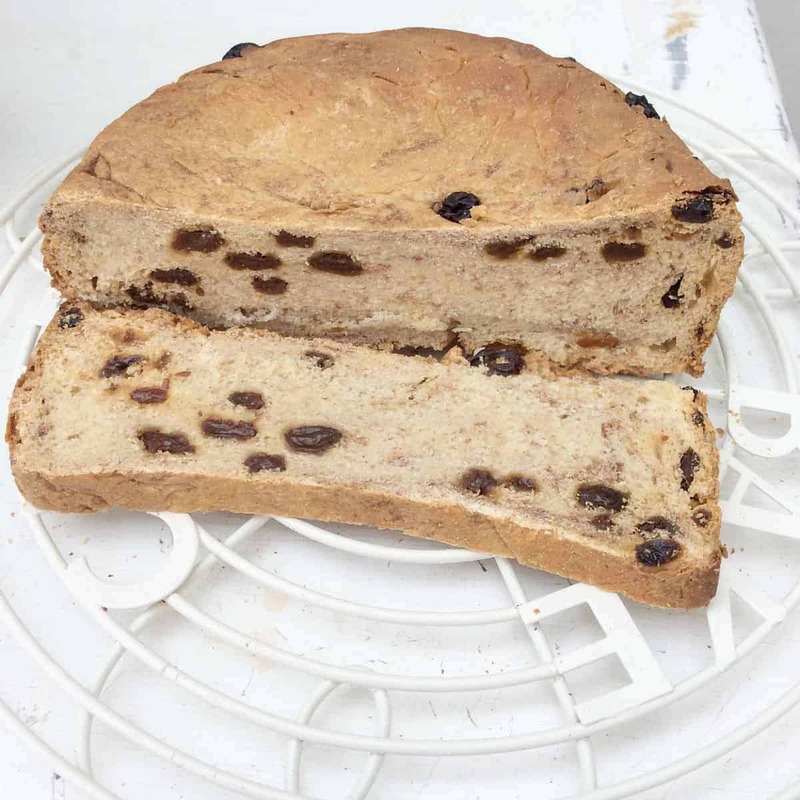 Cinnamon and raisin bread is one of our favourites, which I like to make at the weekend for an easy breakfast. 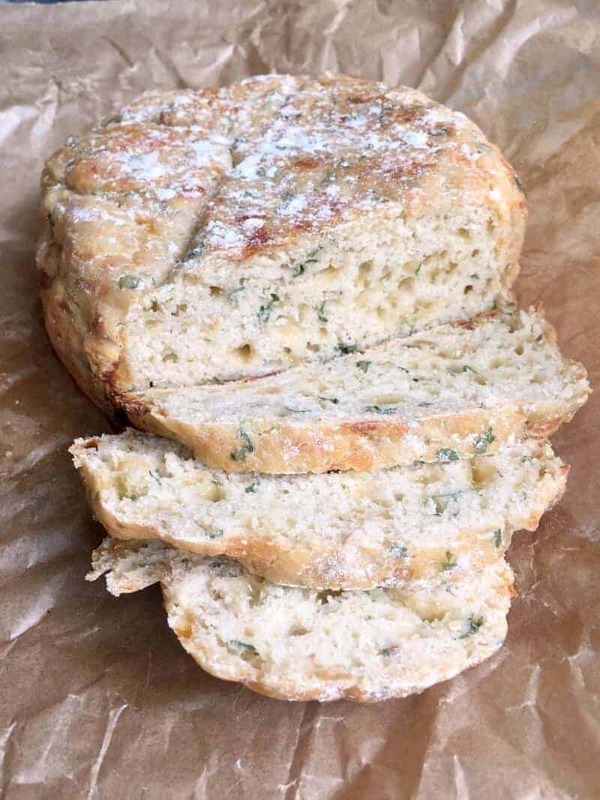 For a savoury bread which goes really well with your slow cooker main dishes, soda bread is a quick and easy loaf to make. If you have more than one slow cooker you can cook your main meal and your bread side at the same time! Want More Recipes for Baking in a Slow Cooker? If you have now caught the slow cooker baking bug, make sure you check my slow cooker archives to find even more recipes! 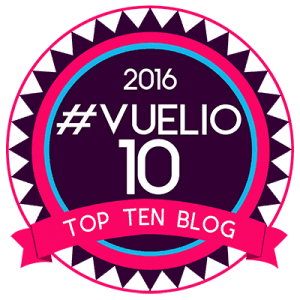 There’s a whole post on slow cooker fudge too. I’d love you to subscribe to receive new posts by email, and don’t forget you can follow me on Social Media including Facebook, Twitter, Instagram, Youtube and Pinterest! 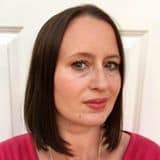 Let me know if you have any questions about slow cooker cakes and bakes, and if you have any recipes you’d like to see I’d love to hear from you! 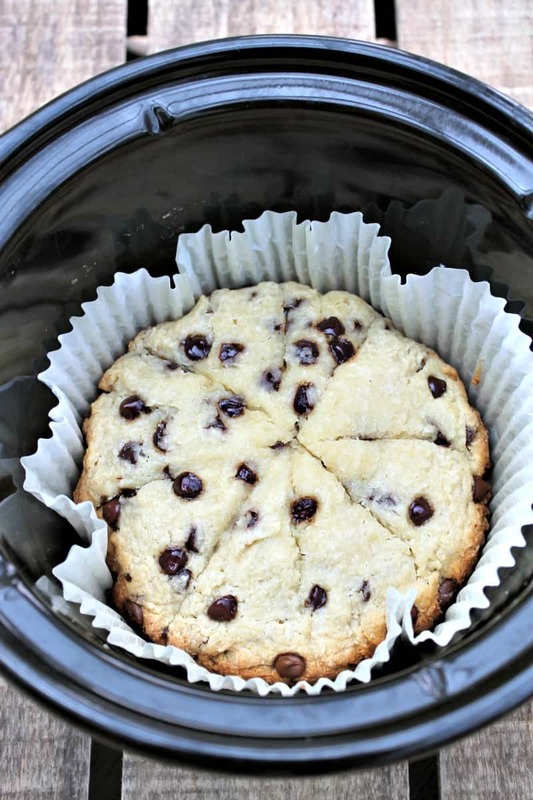 Pin my guide to slow cooker baking for later! I have a crock pot, will it be ok to do the aero cake in that please? I’ve got an Instant Pot with a slow cooker function. Tried the blueberry and banana cake in it and after 1.5 hours on high it’s still wet in middle. Will put it on for another 30 minutes and check. Have you had other IP users with this? Hi Clare, I have one of those two but haven’t tried using it yet! I haven’t ever seen anyone saying they’ve made a cake in an instant pot using the slow cooker function so couldn’t comment on that really or the timing. I’d give it another 30 mins then recheck and then check every ten mins or so. Hope that helps! Hi Alan, yes lid on and sometimes I use a tea towel under the lid to stop drips going onto the cake. Hi Claire, you could make it in the same way as I made my cranberry pudding, in a bowl in the slow cooker. I have baked bread for the first time in my slow cooker, it rose initially then during cooking the steam generated from the bread made it sink. Any idea how to stop it sinking. Hi Jen, did you use a tea towel under the lid?